When furniture is this classic, it can go anywhere. This curio, loaded with natural or faux plants, could even turn a kitchen corner into a slice of sunroom. 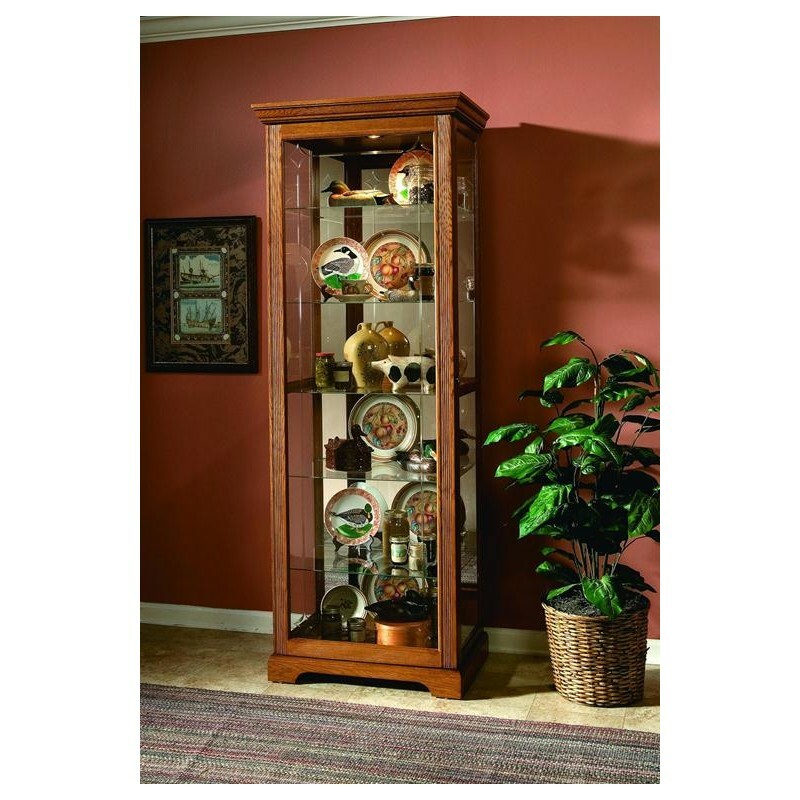 Our tall curio is built in oak solids and veneers with a natural Golden Oak finish. It features traditional beveled glass patterns on the front. 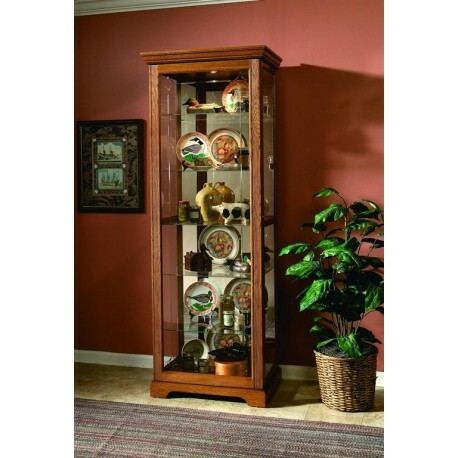 The curio has a two-way felt-lined sliding door with lock. It includes a mirrored back, halogen lighting, adjustable glass shelves, and adjustable glides for leveling.